Antique mirrors will bring a sophisticated look into your home or office. These pieces can elevate your interior design by adding a touch of history and breaking up any sterile space with an eye-catching relic. If you love the elegant and trendy vintage look, we can custom make one (or more) of these aged pieces for you. 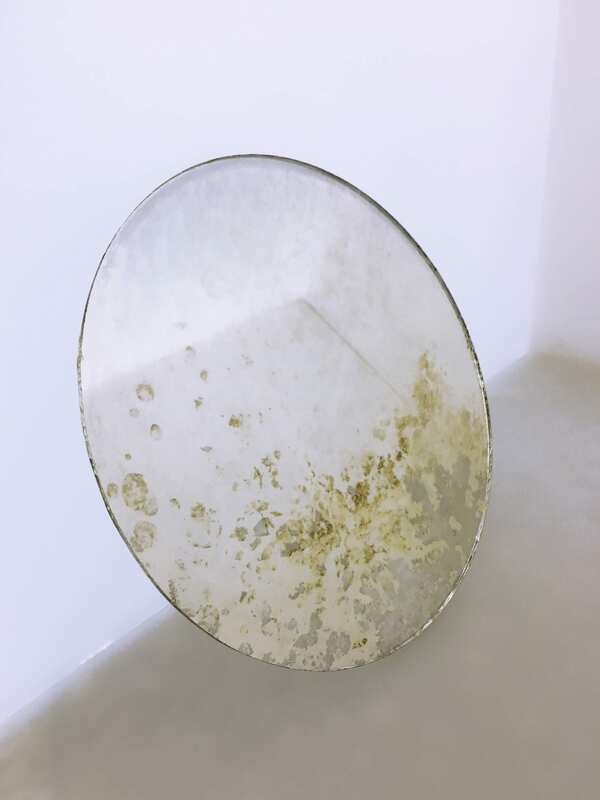 Contrary to most mirrors, our pieces have a reflective surface on both sides and can therefore be used two ways or installed in a space where they are visible from both sides. 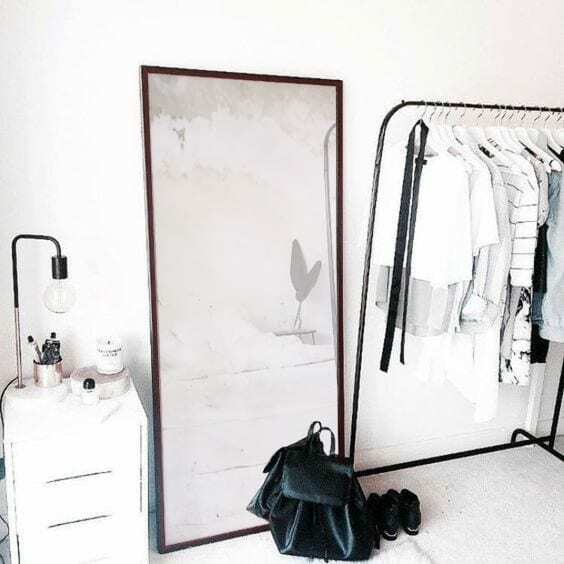 You therefore don’t have to limit yourself to hanging these vintage mirrors on a wall – they could be used in a variety of ways in your interior design. 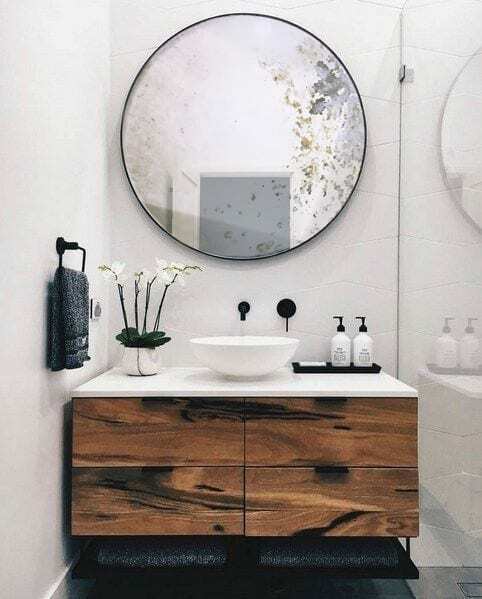 Mirrors are not only great for filling wall space, but can also give the illusion of more space to a room. 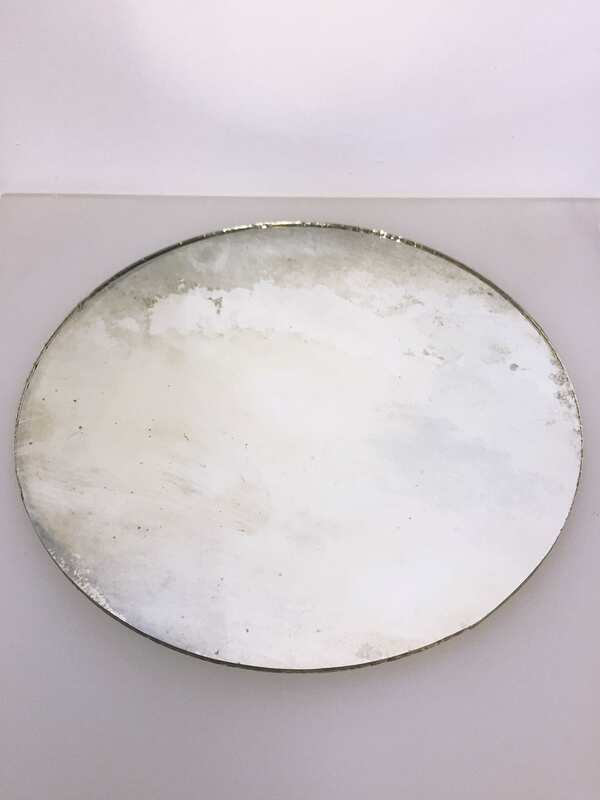 The mirrors are handmade and available in different shades like rose gold, pinkish, silver, or a darker variation of it. If you have an other color in mind, you can contact us and we can figure out how to make it happen. We are also able to make them in a custom size, thickness and even shape. 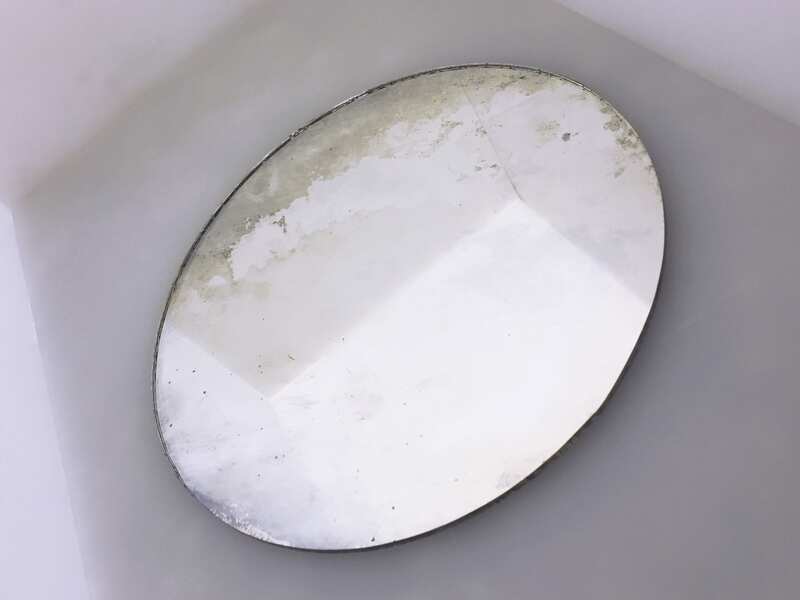 So we can create everything from a small wall mirror, to a lamp, wall piece or even sliding panels for your wardrobe – if you have something special in mind, we can probably make it into a reality! Even a custom relief – like a handprint or a special pattern – is possible. 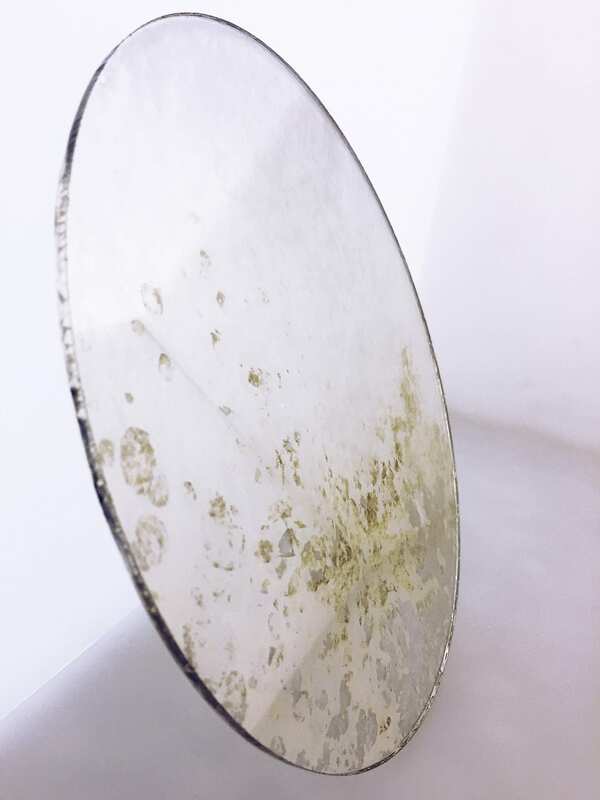 We also have a collaboration with local metal artists, so you can choose the perfect frame for your custom vintage mirror. 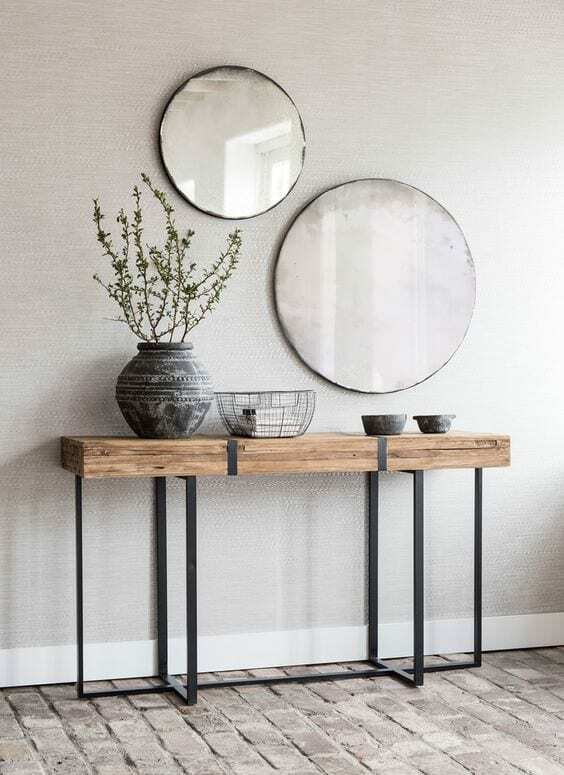 You can go with a simple industrial frame for a modern loft style look, or you choose something more elaborate: Customize your mirror in a way that will fit perfectly into your space. Contact us if you are interested or want more information.